The State Veterinary Administration (SVA) ordered to withdraw two deliveries of poultry products with origin in Brazil. 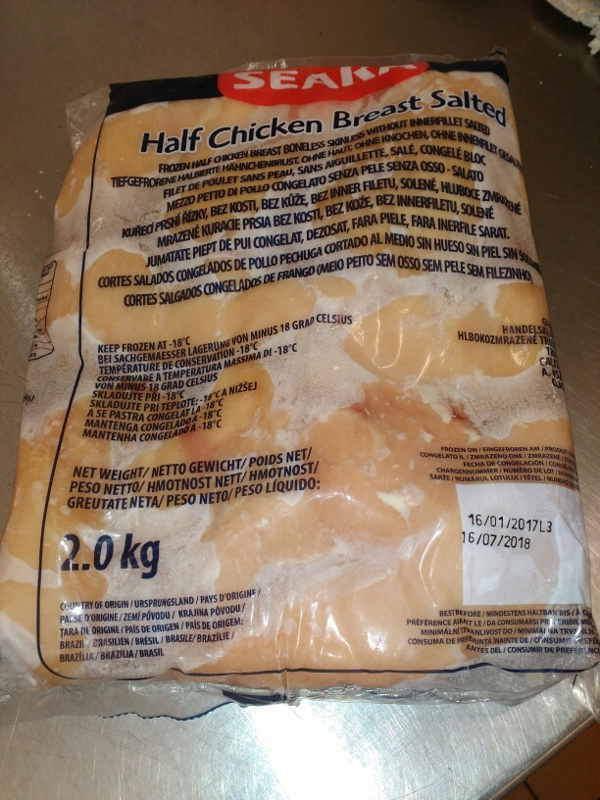 In particular, they are the SEARA products – chicken breasts, boneless, skinless, deep-frozen (batch: L2, Best Before Date: January 7, 2019) and SEARA – chicken breast fillets, boneless, skinless, no inner filler, salted, deep-frozen (batch: L3, Best Before Date: July 16, 2018). The reason for the products withdrawal is information from the Military Veterinary Institute in Hlučín that notified SVA of the fact that the Institute found occurrence of Salmonella bacteria in two samples collected within the inspections of meat from Brazil. After withdrawal both products will be returned to the sender or disposed of. The penalty of up to CZK 50 million impends for marketing unhealthy food.